There is the right way to install or remodel something, and there is the easy way. Sometimes the easy way is the right way, often it is not. Homeowners see the external results of a replacement or remodel, but what they don’t see can be more important. It may take a little more effort and a little more time to do things right, but doing a job correctly greatly benefits the homeowner in the long run. At Gizmo Home Craft we install and remodel things the right way. 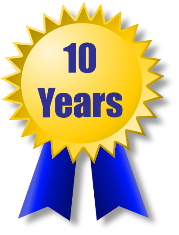 In fact, we are so confident in our work that we offer a 10-year workmanship warranty. If the product that we install fails as a result of improper installation we will replace it at our cost. That is the Gizmo difference.